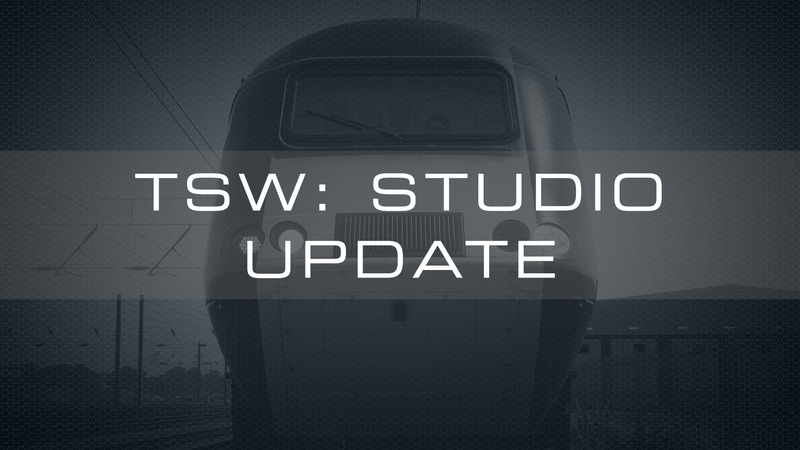 Last month when we caught up with Matt we found out more about the upcoming Train Sim World Editor Tools. We asked you to share any specific questions you had with us to address and we received lots of questions. So, this month, I would like to focus on giving you the answers! A very interesting read. Thanks for sharing this James. I hope it’s getting close to getting this to us! Good read! As i understand it, you can extend a route without a problem as long as you have the uncooked source.. What you won't get for sold DLC without a special agreement with the original creator. Another thing is publishing the extension.. i think that will not work, you would have to publish the extension as new full route. Luke said they are trying to make it possible to edit existing routes. Excellent read looking forward to the launch of the editor. I honestly think not being able to edit/expand on existing routes would be a step back. Especially when you have a route like the NEC: NY, which I still consider more of a demo, than an actual route, based on the start/end points, should be able to be expanded on, especially since that would be the most complex part of the route to recreate, should one actually want to build the entire length of the NEC in TSW. I honestly think not being able to edit/expand on existing routes would be a step back. To be fair it certainly does sound as if DTG would like to give us the ability to do that, at least to some extent. That said, there have certainly been other cases where DTG have said something similar and nothing seems to have happened e.g. flashing yellows on GWE where apparently the code is there but just doesn't activate for unknown reasons. I'm convinced it was only the sustained moaning and whinging that eventually persuaded DTG to start doing something about the engine simulations. As someone who has been previously annoyed with DTG for being silent about the editor or anything really "new" for TSW, this is a refreshingly open and honest series, and has been fairly timely. Keep up the great work! Question regarding the editor/workflow: Upon creating a new route, do you try to create the landscape first in the basic UE4 editor, or do you find it easier to lay down track in the DTG track editor, then add in landscape later? Also, with the provisions for adding in world data (yay! ), is there a plan or any potential feasibility for adding in terrain data, so that mountain ranges don't have to be added in by hand? Sounds really good to me,especially ability to use open street maps optionally because Google earth is becoming very problematical for many users(I wish DTG would make Open street Maps an optional replacement for Google earth in TS2019). Looking forward to any tutorials,good job DTG. UE4 will be a challenge to work with! They probably import terrain data. I think its safe to say that whatever you can do in normal unreal you can do in TSW as well. They do mention Speed Tree and Simplygon specifically, but there are all kinds of other utilities I bet you could use. Including landscape stuff like that. So while some people are going to be naysayers considering UE4 to be all terrible and junky because you can't edit someone else's stuff (which, to be fair, is probably for the best when it comes to protecting intellectual property) they fail to consider that the sky is really the limit with UE4. I bet you could go crazy and make something like a bus you can drive/ride, even though the game is intended for trains. As such, my greatest fear right now is that people won't think outside the box, and will limit their creativity to what they remember from TS2019's editor, instead of doing some actual new stuff. After playing with UE4 and finding a built-in First Person Shooter function (and shooting beach balls around), it's entirely possible to have a messed-up version of Capture the Flag involving a flag and a 50-mile route. I keep forgetting how robust UE4 is. If multiplayer ever comes in, you could play hide and seek. Especially in RSN because of all the hiding places. One idea I had thought is once we have multiplayer is a shunting focused route where 1 person drives the loco and the other person walks around/rides the loco to switch points and couple/uncouple wagons. Couple possibly even have a signalman/dispatcher option where you act as a signal box operator to control trains through a section of track or station. Thanks DTG for giving us an update, it is really appreciated. I can't wait to go to the workshop and download some scenarios for TSW! Can't wait is a popular quote in every gaming community by the way.